A hearing on an application to expand a Wawa in Brick Township will continue on Wednesday. Testimony in the case, which centers on the Wawa store at 10 Lanes Mill Road near Garden State Parkway Interchange 91, began in October. The company is seeking zoning approval for an expansion plan that would result in Wawa taking over land that was previously used for the Rice King restaurant. 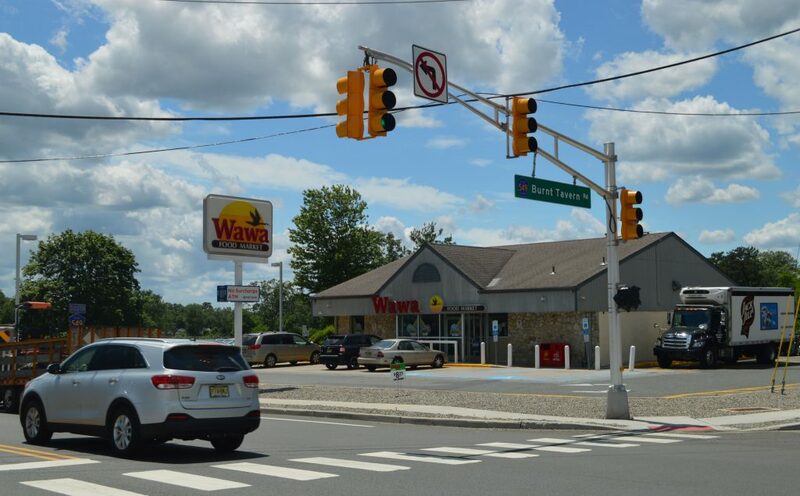 The existing Wawa building would be demolished in favor of a new, 4,736 square foot retail store with the addition of six fuel dispensers with 12 pumps. The project requires the board to grant several variances, including a use variance since the operation of a convenience store and gas station in one facility are not normally allowed under the zoning code. The plot is located in the B-2 commercial zone. The township’s Board of Adjustment heard about three hours of testimony at a meeting in October before adjourning. The application is being formally opposed by a neighboring residents who sources have said has ties to a competing gas station. Wawa’s representatives said the new design would greatly improve the corner’s aesthetic appeal. They also said recent court decisions support the use of variances to place a filling station and convenience store near a major highway interchange. “This is a commuter corridor, which makes the site even more suitable,” Christine Cofone, Wawa’s planner, said. The meeting will begin at 7 p.m. Wednesday, Jan. 30 at the township municipal complex. The Wawa application is the only matter on the agenda.